We've come a long way from the beige boxes of yesteryear. 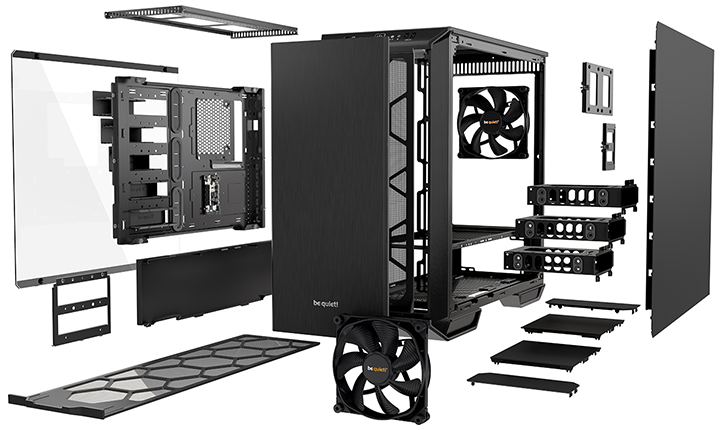 These days we're spoilt for choice when it comes to PC chassis, with numerous vendors purveying a wide range of options in all shapes and sizes, and to suit all budgets. A great case is one of the best ways to start planning a new build, and though we've offered plenty of insight and recommendations over the years, it's always interesting to hear what you, the consumers, really think. To help separate the wheat from the chaff, this week's questions asks: who makes the best PC chassis? Let us know which manufacturer(s) you prefer, and your reasons why, in the comments facility below. Lately I've found Phanteks and Fractal Design pretty good, but thats because I've not tried anything else xD . When it comes to the design of mini-ITX cases,HardOCP forums. I suppose that might mean Lian Li who makes many of the cases designed on the HardOCP forums like the DAN Case A4-SFX.